The Summary Law Firm has represented hundreds of clients facing misdemeanor and felony drug charges including marijuana possession, possession of prescription drugs, possession of cocaine, heroin, methamphetamine, and other illegal substances. As many criminal defense lawyers are aware, to be guilty of the crime of possession of a controlled substance in Missouri you need both knowledge and control of the drug or drugs. According to Missouri drug laws, without both knowledge and control, there can be no possession of drugs. Example #1: Bob gets into Dan’s car. Bob does not know that Dan previously placed a bag of marijuana underneath Bob’s seat. Bob is not guilty of the crime of possession even though he might be able to “control” the drugs because he had no knowledge of them. Example #2: Jim goes over Ben’s house. Ben tells Jim that he has a pound of cocaine located in a safe in his bedroom. At this point, Jim is not guilty of the crime of possession because even though he has “knowledge” of the drugs in the safe, he has no ability to control them. The law in Missouri is that possession of a controlled substance is a class D felony unless the substance is thirty-five (35) grams or less of marijuana and then it is a misdemeanor. Possession of between 10 and 35 grams of marijuana or a synthetic cannabinoid is a class A misdemeanor. Possession of no more than 10 grams of marijuana or a synthetic cannabinoid is a class D misdemeanor (unless you have been found guilty previously of a controlled substance offense, in which case it would be considered a class A misdemeanor). Even though possession of marijuana can be a misdemeanor or a felony depending on the amount, it is still a serious drug charge with serious penalties that can have long term effects on your criminal record. If you or someone you know is charged with possession of a drug, St. Louis criminal defense attorney Justin Summary can help. Contact The Summary Law Firm today for a free case evaluation. Distribution, Delivery, manufacturing, and possession with intent to distribute are very serious felony drug charges in Missouri. 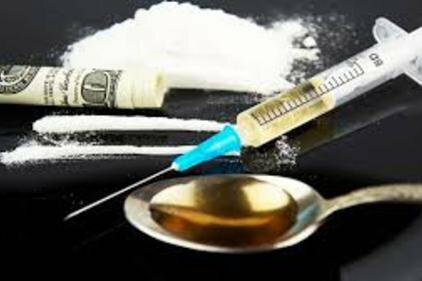 St. Louis drug crimes attorney Justin Summary of The Summary Law Firm has represented numerous clients facing these criminal drug charges and has the knowledge you need in your corner. Delivery of a controlled substance is generally a class C felony. If the substance was less than 35 grams of marijuana or synthetic cannabinoid it is a class E felony. The punishment for distribution or delivery charges can become even more severe if it is alleged that the drugs were distributed or delivered to a minor, or within two thousand feet of a school or within one thousand feet of government housing or a park. Manufacturing a controlled substance is generally a class C felony unless the substance is 35 grams or less of marijuana or synthetic cannabinoid in which case it is a class E felony. A criminal drug charge of manufacturing an illegal substance can be difficult to prove if the culprit is not caught in the act because many of the items used to make drugs are items that can be found in virtually everyone’s home, are legal to purchase and readily available at most stores. If you have been charged with the crime of manufacturing an illegal drug, contact St. Louis drug crimes lawyer Justin Summary as soon as possible. The charge of possession with intent to distribute carries a higher punishment than regular possession of drugs. The grounds for these higher penalties are shown by the quantity of the drugs, how they are packaged as well as other items found with the drugs such as scales, baggies, large amounts of cash etc. Depending on the type and amount of drugs involved, a possession charge could turn into a more serious trafficking charge. The consequences of a trafficking charge can not only include a lengthy prison sentence but also can result in the additional penalty of no parole for your prison sentence. As you can see, drug charges are serious criminal charges with serious penalties that can result in prison time and thus should be taken seriously. If you are charged with a drug crime in the greater St. Louis area or anywhere else in Missouri or Illinois, drug possession attorney Justin Summary can help. When you need a St. Louis criminal defense lawyer with a good understanding of the Missouri drug laws look no further than defense attorney Justin Summary of the Summary Law Firm. He has handled hundreds of drug cases and knows how to defend them. So if you have been charged with a drug crime contact drug crimes attorney Justin Summary today for your free case evaluation.